Beware! Spoilers for Avengers: Infinity War to follow. There is not a safe, spoiler-free section of this post. Avengers: Infinity War is a piece of entertainment that prizes scale over nuance. If you're looking for the wry humor of Thor: Ragnarok or the thematic ambition of Black Panther, you've come to the wrong Marvel movie. This is a an enormous, overstuffed splash page of a film. It's like chugging a 7-Eleven Slurpee for two hours and 40 minutes. Brain freeze guaranteed -- right to your skull. Directors Anthony and Joe Russo took a similar approach with 2016's Captain America: Civil War, and, now that they've taken over the reigns of the Avengers franchise from previous series director Joss Whedon, they've brought their "more, more, more" aesthetic to bear on an even larger cast of heroes, sidekicks, and villains. Nowhere is that too-muchness more apparent than in the plodding middle section of the film. While the beginning has a zippy, frantic tone and the ending has a grandiose, somber glow, the center of Avengers: Infinity War is narrative box-checking cinema. In between the quips, pop culture references, and bursts of green-screened action, there's a center that feels like it's running out the clock to the big shocking climax. That's especially true of a moment that should feel like a fun twist: The unannounced, surprise return of The Red Skull. We first met the villainous Red Skull, who also goes by the name Johann Schmidt, back in 2011's Captain America: The First Avenger, the sturdy World War II period piece that introduced us to Chris Evans's muscular shield-thrower. (According to this very website, it's the best Marvel movie.) In director Joe Johnston's nostalgic, heartfelt entry in the Cap series, the Red Skull is played by Hugo Weaving, the British-Australian character actor known for playing Agent Smith in The Matrix trilogy and Elrond in the Lord of the Rings trilogy. It's a pulpy performance in a pulpy movie. The Marvel house tone of cheeky irreverence -- which, to be fair, Black Panther recently pushed back against -- hadn't been codified yet. There was still room for ridiculousness delivered without a wink. If you don't remember, Captain America: The First Avenger ends with a scene that provides some much needed context for The Red Skull's return in Infinity War. During the film's climax, the Red Skull holds the Tesseract (or, if you want to make this slightly less confusing, the Space Stone) that he had been using to power his big, flying ship and gets sucked into space. In the movie, it looks like he disintegrated. A recent Avengers: Infinity War prelude comic offers a more detailed explanation for what happened to the Red Skull. Either way, Captain America then crashes the plane into the ocean, where he takes a long, chilly nap that ends up lasting decades before he's unfrozen in the modern day. The Red Skull doesn't appear in either of the Captain America movies that followed. 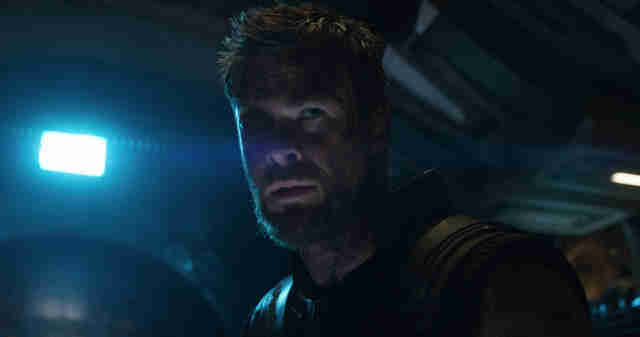 He was left in the past as Captain did battle with the Winter Soldier and whoever the primary villain was in Civil War. (Be honest: You only remember the airport fight with the heroes.) In fact, Hugo Weaving has repeatedly hinted that he had very little interest in returning to the crowded Atlanta sound-stages of the Marvel Cinematic Universe. In an interview with Collider from 2012, he said he wasn't planning on appearing in any sequels. "I’m glad I did it," he said at the time. "I did sign up for a number of pictures and I suppose, contractually, I would be obliged to, if they forced me to, but they wouldn’t want to force someone to do it, if they didn’t want to. I think I’ve done my dash with that sort of film. It was good to do it and try it out, but to be honest, it’s not the sort of film I seek out and really am excited by. As an actor, to do all sorts of different films is great. It stretches you in different ways. But I increasingly like to go back to what I used to always do, which is to get involved with projects that I really have a personal affiliation with." So when the Red Skull shows up in Avengers: Infinity War, offering some evil hospitality to Thanos and Gamora as they search for the soul stone, you might think Hugo Weaving had a change of heart. Was the Marvel paycheck too hard to resist? It turns out that's not the case: The role was actually recast with the Walking Dead's Ross Marquand providing the voice for the character. If you've got a good ear for accents, you might have noticed the difference. Otherwise, it might have floated right by you. The problem with the Red Skull scene isn't actually the new performer. Recasting is hardly a new tactic for the Marvel Cinematic Universe -- no one is begging for Edward Norton to return to his role as the Hulk after Mark Ruffalo put his stamp on it -- but the way the scene plays out is indicative of a larger storytelling flaw in these long-running, multi-movie franchises. When a character you thought was dead returns in a later season of a television series or in the final chapter of an epic novel, the moment is typically given room to breathe. It's more than just a cameo or an Easter Egg. It's a melancholy reminder that time has passed, friends have been lost, and our heroes have changed. Nothing will ever be the same. 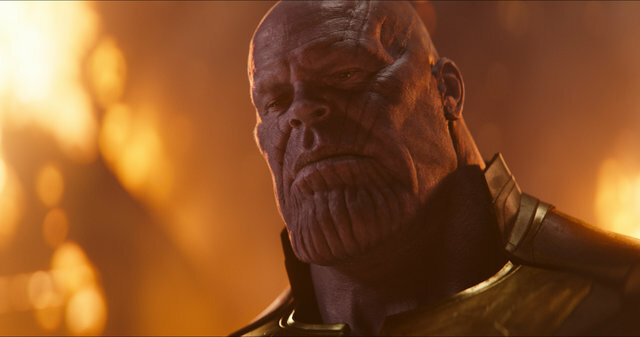 There are stray lines of dialogue, small interactions, and meaningful glances in Avengers: Infinity War that achieve that rich, layered quality. (Many of them involve Chris Hemsworth, who continues to find new wrinkles in his portrayal of Thor.) But the repetitive series of events that transpire in the middle stretch of Infinity War, whether it's the material with Josh Brolin's Thanos, Peter Dinklage's Eitri, or Marquand's Red Skull, carry little weight -- and that's not just because the characters are mostly floating in space. It's that we know "nothing will ever be the same" is not a phrase that feels true when applied to these movies. The sameness is infinite.